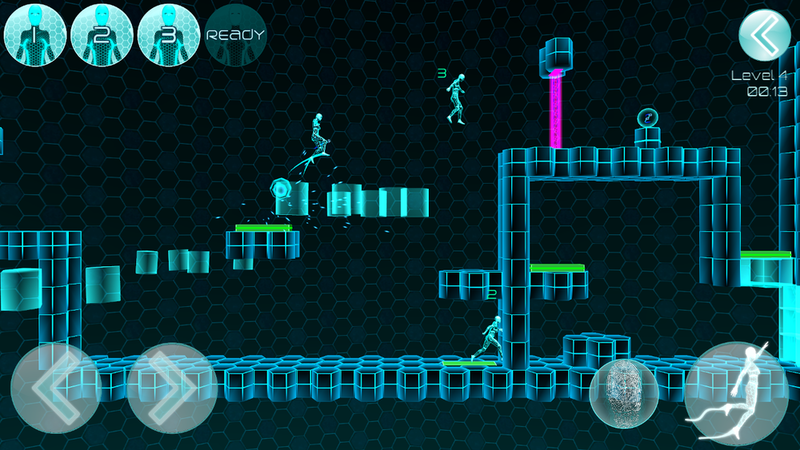 Instantion is a 2D puzzle platformer featuring unique clone gameplay. 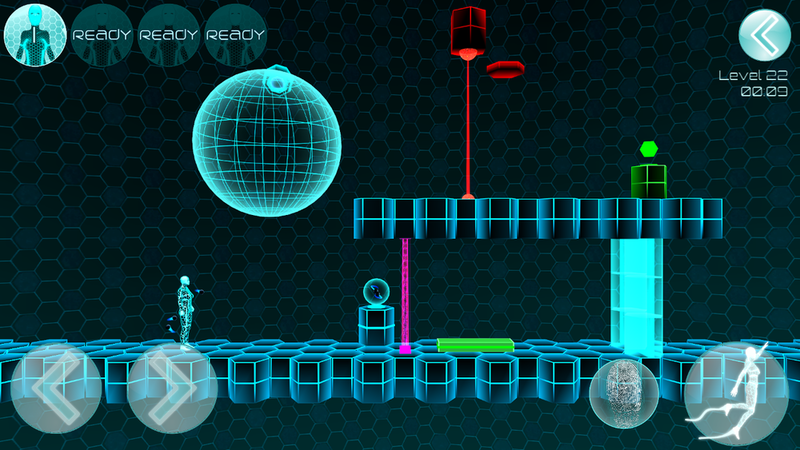 Control multiple clones simultaneously while solving mind-bending puzzles. 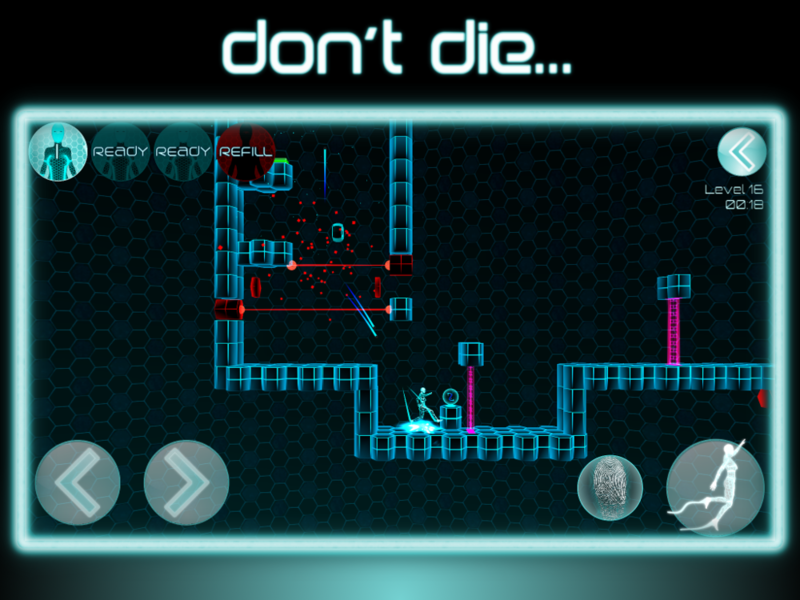 Instantion combines dungeon-style puzzle design and trajectory 'sling-shot' aiming with elements like gravity effects, teleportation devices and clone modification. Progress through 50 levels with over 120 puzzles, pushing blocks, hitting switches, finding keys, avoiding lasers and more! 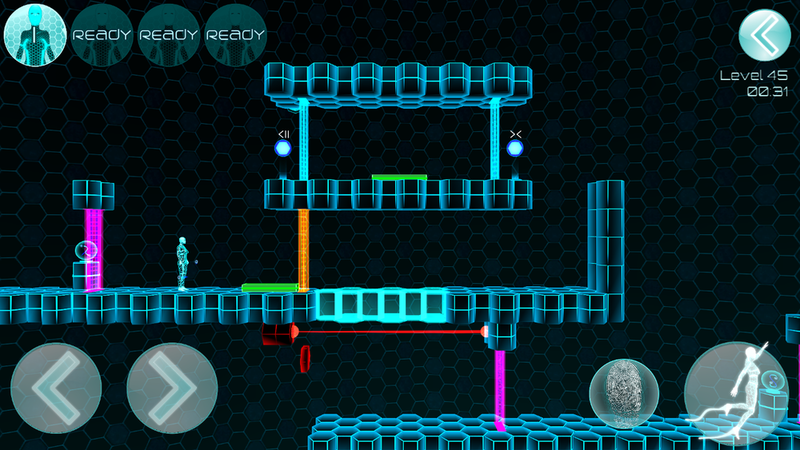 Solve each level with as little clones possible, in the shortest time to get the best grade! Extra difficulties are included for even more challenge! The game in composed of 5 'chambers', each of which introduces a new mechanic. There are 10 levels per chamber. Seeds are the equivalent to ammunition, shoot seeds to spawn clones. After shooting a seed, a clone will spawn with a number over its head. This is used to keep track of which clone is from which seed. There may only be 3 active seeds at a time. Tap the number icons to collect that clone and replenish a seed. If the player gets harmed you'll be warped back to the last checkpoint, clones aren't so lucky. Clones can die, and when they do their seed goes with them, reducing your seed count. 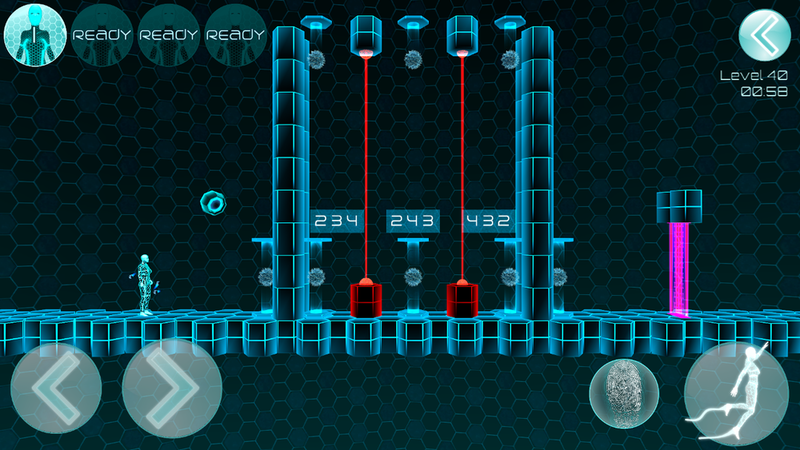 Refill stations can only be used by the player, not a clone. Use these when clones die to replenish your seeds. 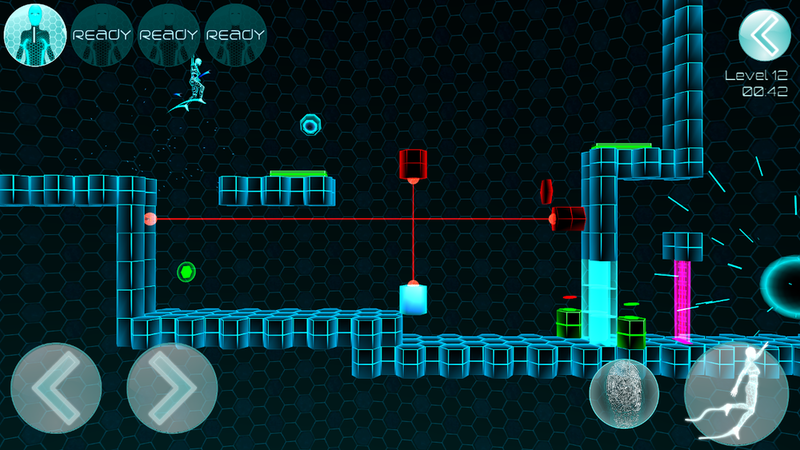 The fundamental goal of the game is to solve the puzzles. But each level has certain criteria that weighs towards a grade. The grade is based off of the number of clones used, how many clone die, and how long it took to complete the level. Aside from the standard objects like, switches, blocks, keys, doors, bridges, elevators, lasers etc... Instantion adds extra variety to its gameplay. Spheres that apply a gravity reducing effect on anything that enters them. Once the object exits, its gravity returns to normal. A teleporter has an entry and exit point, anything may pass through them. Some teleporters may have a combination over it. 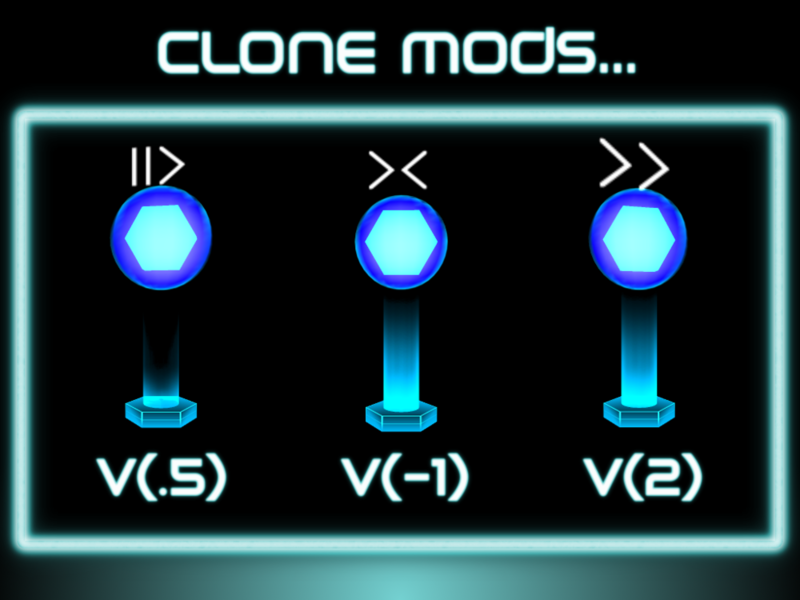 Three clone modifiers, all of which affect the clones velocity. Modify velocity by 50%, 200% and velocity multiplied by -1 (clone moves in the opposite direction). Checkpoints are the first kind of energy field (color pink). The player may pass through them, clones may not. If a clone touches a checkpoint its seed will be collected. Next is the Kill Clone field (color orange), which is also safe for the player. But if a clone touches one, the clone will die. Finally, the Deny Player energy field is safe for a clone, but not the player. All energy fields interrupt the aim trajectory. 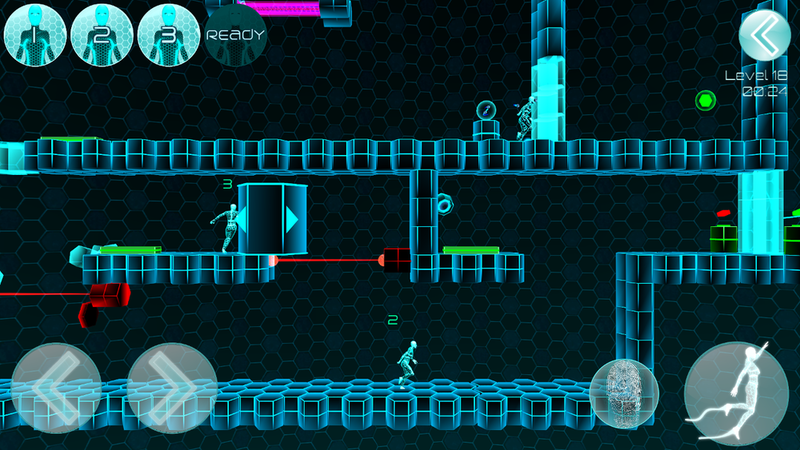 Use the virtual buttons to move, jump and interact with objects. The number icons on the top left of the screen are used to collect seeds from active clones. Pushing the 1 icon will warp you back to the last checkpoint and collect all your seeds. Touch the screen anywhere to start aiming. It's a sling-shot style, trajectory based system. Release the touch and you will shoot a seed. Cancel your shot by tapping a 'Cancel' button while aiming. Finjitzu Software. A one man developer based in Saskatoon SK, Canada. 50 levels with over 120 puzzles. 2 extra difficulty modes, including our version of perma-death. Retro 3D art, 1980's vision of graphics in the year 2000. 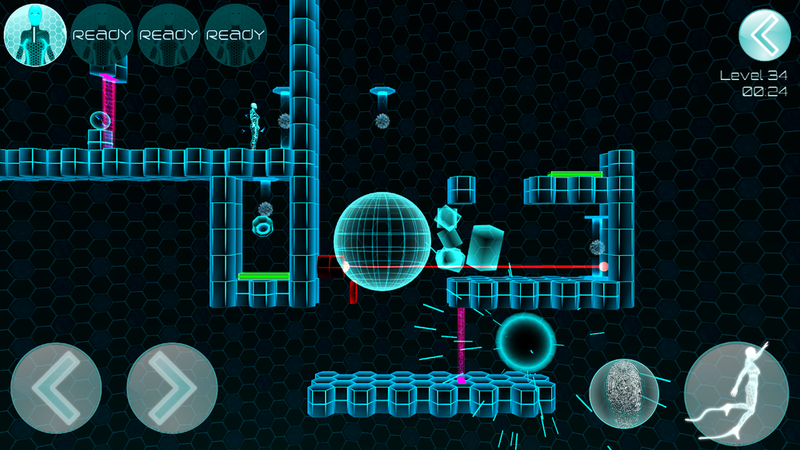 Intuitive controls that combine 2D platforming with sling-shot style aiming. Generous level unlocks. Sick of level-up grinding/unlocking? Same here. No IAPs or Ads, pay for it and play. No hand-holding, learn to play by just playing. Ivan Explains Video 1, download 132mb .mp4 file. Ivan Explains Video 2, download 135mb .mp4 file. Launch Trailer, download 111mb .mp4 file. 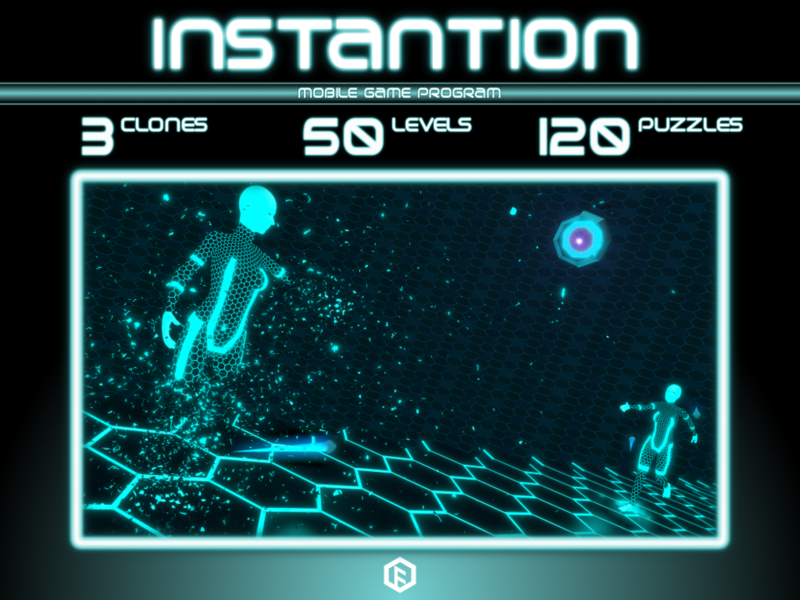 Instantion started out as a submission to the 2012 GITHUB GameOff. It was originally called Archetype, check out the original video here. It had less than one month of development time, I was also still learning how to use Unity. After failing to place as a finalist, I started to work on something else. A couple months went by and Double Fine released The Cave. After playing that for a few hours I decided to dust off my GITHUB project and actually finish it. Little did I know how much more work would actually be required to complete this thing. Started in 2014, Finjitzu Software is an independent developer, owned by Travis Fincaryk. Travis is a self-taught developer, combining his skills of programming and art. Travis Fincaryk - Developer - Programming, art, and design. Rob Mills - Music - Wrote the background music for the levels. David Dvorak - Music - Wrote the Menu music and the level complete music.